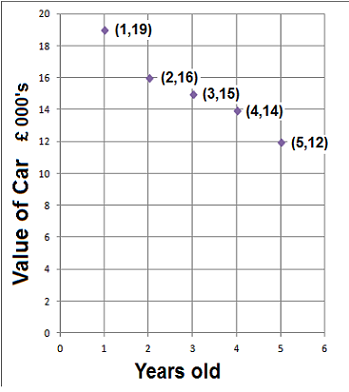 Use the line of best fit to estimate the value of one variable when the other is given. 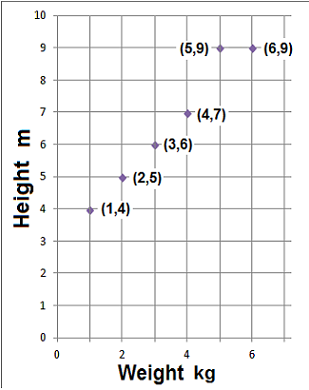 (b) Estimate the weight when the height is 8 metres. (b) Draw a line across where the weight is 8 metres, and then when it hits the line of best fit, draw a line down to estimate the weight. 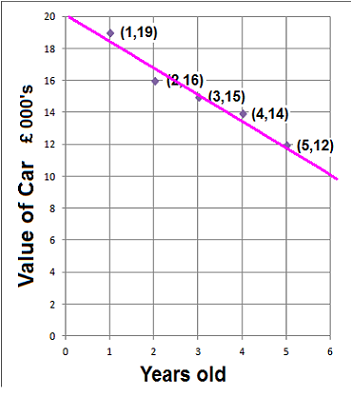 (b) Estimate the value of the car when it is 6 years old. 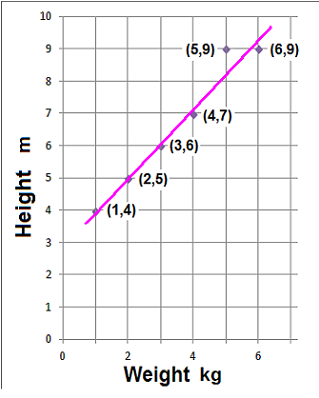 (b) From year 6 draw a line up to the line of best fit. 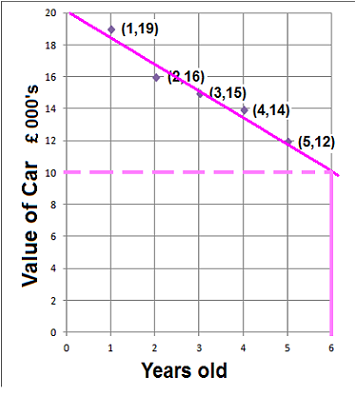 Then from the line of best fit draw a line across to estimate the value of the car.